CATNIP DONE RIGHT! 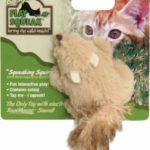 The all-natural catnip treat for your feline Kitty Kush is new catnip that’s bringing fun back to treat time. When you buy natural feline treats, you want only the best for your family’s kitty. There are so many varieties of cat treats to choose from these days, but it’s high time for an easier, mess-free way to serve up premium catnip. With Kitty Kush, the innovative built-in grinder bottles makes it so you can effortlessly sprinkle a little love on your cat’s favourite toy or scratching post. 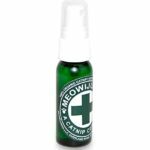 All it takes is a simple twist to release the high potency essential oils that cats love.